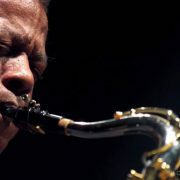 Saxophonist Wayne Shorter has been awarded a Guggenheim Fellowship in the field of music composition, according to a press release from the John Simon Guggenheim Foundation. On the foundation’s website, it notes, “The music of Wayne Shorter has left an indelible mark on the development of music for the last half-century.” Shorter is the only jazz artist to receive the honor this year. For more information, visit Wayne Shorter.